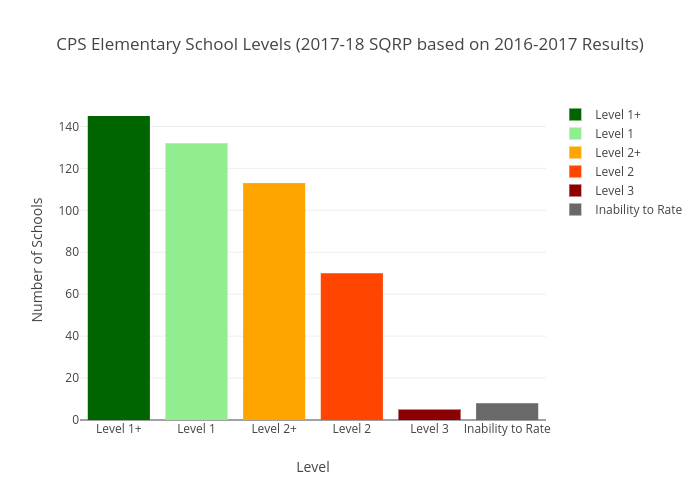 Lukeshepard's interactive graph and data of "CPS Elementary School Levels (2017-18 SQRP based on 2016-2017 Results)" is a histogram, showing Level 1+, Level 1, Level 2+, Level 2, Level 3, Inability to Rate; with Level in the x-axis and Number of Schools in the y-axis.. The x-axis shows values from 0 to 0. The y-axis shows values from 0 to 0.